Zurn Model F49BR Fire Powerball Butterfly sprinkler control valves provide for easy system shutoff to facilitate repair and maintenance. 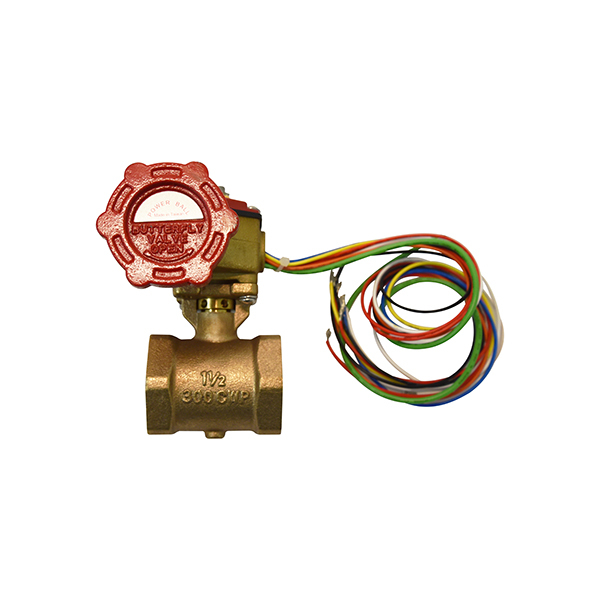 Size --Choose Size-- 1" 1-1/4" 1-1/2" 2" 2-1/2"
Zurn Model 1-F49BR Fire Powerball Butterfly sprinkler control valve (1") provides for easy system shutoff to facilitate repair and maintenance. Zurn Model 114-F49BR Fire Powerball Butterfly sprinkler control valve (1-1/4") provides for easy system shutoff to facilitate repair and maintenance. Zurn Model 112-F49BR Fire Powerball Butterfly sprinkler control valve (1-1/2") provides for easy system shutoff to facilitate repair and maintenance. Zurn Model 2-F49BR Fire Powerball Butterfly sprinkler control valve (2") provides for easy system shutoff to facilitate repair and maintenance. Zurn Model 2-F49BR Fire Powerball Butterfly sprinkler control valve (2-1/2") provides for easy system shutoff to facilitate repair and maintenance. Available in sizes 1", 1-1/4", 1-1/2", 2", 2-1/2"